The books are electronic, downloadable copies and will be available on Gates' website for at least a couple of days. Microsoft founder Bill Gates (pictured at right) is giving away free books to graduates. Put down the cap and gown and pick up a book. Bill Gates is offering free copies of one of his favorite reads of 2018 to all new graduates of U.S. colleges and universities. "If you're being awarded an associate's, bachelor's, or post-graduate degree, download your free copy," Gates wrote Tuesday, announcing his giveaway. The book, Factfulness, was written by Swedish doctor and statistician Hans Rosling, who died of pancreatic cancer last year at the age of 68. His son Ola and daughter-in-law Anna helped finish up the final pages of the book, which suggests the world is not nearly as bad as we tend to assume. You can download the book, in .epub format, over on Gates' Gatesnotes Blog. Factfulness is just one book in a long line of uplifting and inquisitive reads on Gates' must-read book lists, from Steven Pinker's Enlightenment Now, to a new biography of Leonardo da Vinci and a complete history of the universe by historian David Christian. Gates has lauded Factfulness as "One of the most important books I've ever read -- an indispensable guide to thinking clearly about the world." His wife, Melinda, has echoed this praise. "Hans Rosling tells the story of 'the secret silent miracle of human progress' as only he can," she wrote in her review. Rosling wrote in his book that he aimed to arm readers with "a set of simple thinking tools" to get a better sense of how the world works, from rising education rates, to better life expectancies and health outcomes around the world. "The aim with Factfulness is to debunk old prejudices and change the way people view the world -- not just now, but for at least another 20 years to come," Rosling's daughter-in-law and co-author Anna Rosling R?nnlund told Swedish business magazine Veckans Aff?rer in May, after Rosling's death. "The thoughts in Factfulness are important for giving people a more fact-based view of the world," she said. It's an important enough message to Gates that he's decided he wants the next generation of thinkers to take a look at Rosling's ideas, on his dime. But the book arguably leaves some of the less-than-rosy facts about the state of the world out of the picture. While it's true that people are living longer, more educated lives than they used to, world hunger is also on the rise, people in rich countries are arguably less healthy than ever and women with advanced degrees still have higher rates of unemployment than their male counterparts, even as girls outperform boys around the world at school. 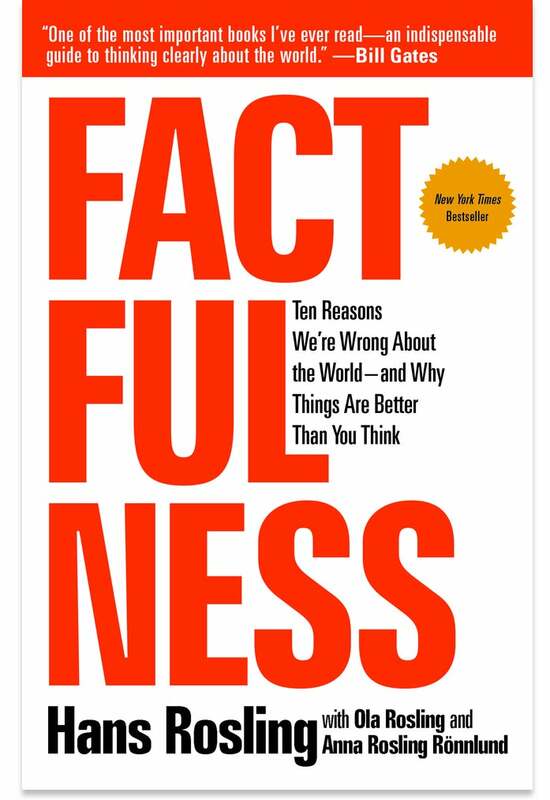 If you're a curious graduate, go ahead pick up your free copy of Factfulness from Gates here, and then decide for yourself whether things really are "better than you think."